Golfers are aware that to be elected Captain or Past Captain of the Golf Club is a major honour. An honour which comes with a parking space! An honour which we feel should be celebrated both at your home club and when representing your club away. Captain Golfer Bow Tie Ready Tied. 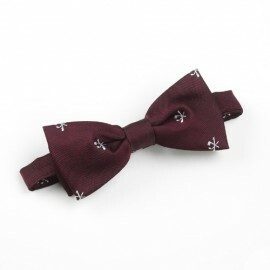 Burgundy Background with Corded Stripe and All-Ov..
Captain Golfer Bow Tie Self Tie. Maroon Background with Corded Stripe and All-Over R..
Captain Golfer Lapel Badge Red. Circular Enamel Lapel Badge. Lapel Badge to di..
Captain Golfer Shield - Red and Gold Hand Painted Shield. Hand Painted Wooden Presentat..